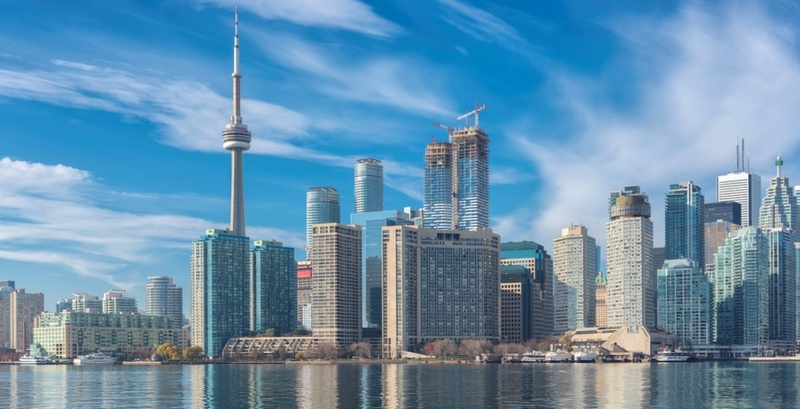 Condo prices in Toronto jumped 10.1% year-over-year to $569,812 in the fourth quarter of 2018, along with the rate of appreciation for most other types of homes throughout the Greater Toronto Area (GTA). The increase is slightly above the rise in aggregate price for a home in the city, which went up 8.8% over the same period to $901,280, according to the house price survey released by Royal LePage on Friday. “Despite sluggish sales in the city’s core, sellers are often able to receive their asking price because of the region’s lack of inventory,” said Chris Slightham, president, Royal LePage Signature Realty. As for the GTA, the aggregate price of a home increased 3.4% year-over-year in the fourth quarter of 2018 to $843,641. When broken out by housing type, the survey shows the median price of a two-storey home in the GTA increased 2.9% year-over-year to $984,097, while the median price of a bungalow fell 0.3% year-over-year to $802,785. Meanwhile, the median price of a condominium within the GTA saw significant price appreciation, increasing 9% to $520,033. Slightham added that the GTA’s healthy economy, population growth and good employment are supportive of the overall health of the real estate market. On a national level, the survey found prices continued to climb during the fourth quarter, climbing 4% year-over-year to $631,223. “The invisible hand that guides our complex economy hit the real estate reset button in 2018 and that is a good thing,” said Phil Soper, president and CEO, Royal LePage.